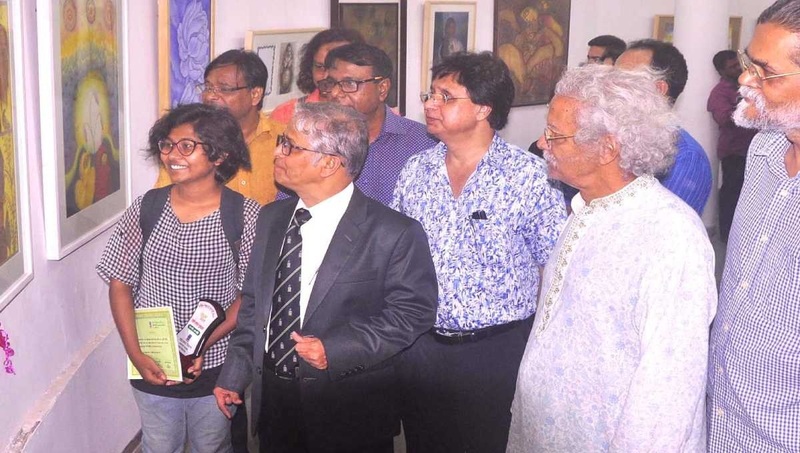 Six students of the department of Oriental Art under the Faculty of Fine Arts of the University of Dhaka have received awards for their outstanding achievement at the annual art exhibition. DU Vice-chancellor Md Akhtaruzzaman handed over the awards at the inaugural ceremony of the weeklong annual exhibition on Monday. ‘Award for Best Medium’ was given to graduate student Shaily Shrabonti while Samina Zaman, a student of MFA (second part), were selected as the winners of ‘Award for Experimental Work’. 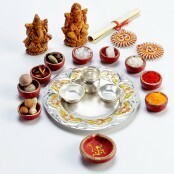 Shaily Shrabonti was awarded for her work “Kath Putuler Kotha”. The young and promising artist told UNB that her works mainly represent how people become motionless in one’s metro lifestyle. First-year student Raisa Moazzem and second-year student Joyosree Goswami received ‘Shilpi Shawkatuzzaman Smriti Puraskar’ and ‘Shilpi Aminul Islam Smriti Puraskar’ respectively. Graduate student Saurav Ghosh won ‘Shilpi Rashid Chowdhury Smriti Puraskar’ while a student of MFA (second part) Shahnaz Akter Pinki received ‘Shilpi Shafikul Amin Smriti Puroskar’. A total of 105 artworks are being put on display where 95 artworks of 40 students and 10 works of teachers were included. The exhibition will continue till October 6 from 11 am to 8 pm every day.